Rear Adm. Mark D. Guadagnini, commander of the Abraham Lincoln Carrier Strike Group, tours the Al Basra Oil Terminal. Many Navy veterans from the current conflict have memories of this place. 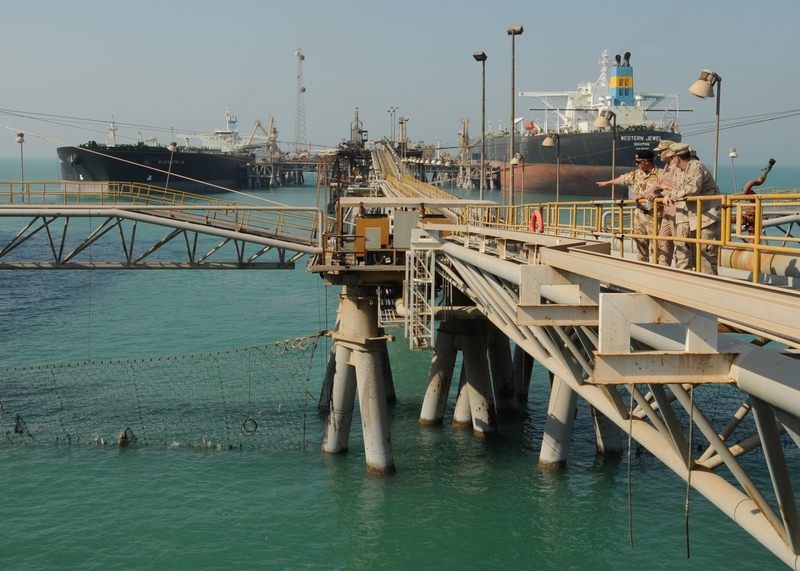 The Al Basra and Khawr Al Amaya Oil Terminals are two main arteries of the Iraqi economy and many a good sailor has spent long hours doing circles around their perimeter or manning an M60 machine gun on their creaky decks. By all reports the Iraqis, despite their government struggling to function, have good news for their economy. The Iraqi oil minister released data that places their oil reserves at a quarter above what was previously thought. Iraq estimates it is the proud owner of 143 billion barrels of oil.